1. Preheat oven to 350 °F (180 °C). Prepare cookie sheet by spraying with cooking spray. In medium bowl, combine flour, sugar, baking powder and salt; set aside. 2. In large bowl, combine banana, oil, egg and vanilla, and mix until well blended. Add flour mixture and walnuts to banana mixture and stir until just combined. If mixture seems dry, use hands to mix until dough comes together. 3. Turn the dough out onto lightly floured surface, divide in half, and shape each piece into an 8 inch (20 cm) long log. Place rolls 4 inches (10 cm) apart on baking sheet. Flatten rolls to 1 inch (2.5 cm) thickness. 4. Bake for 35 minutes. Remove rolls from baking sheet and cool on rack for 10 minutes. Cut each roll diagonally into 15 slices. Place slices cut side down on baking sheet. 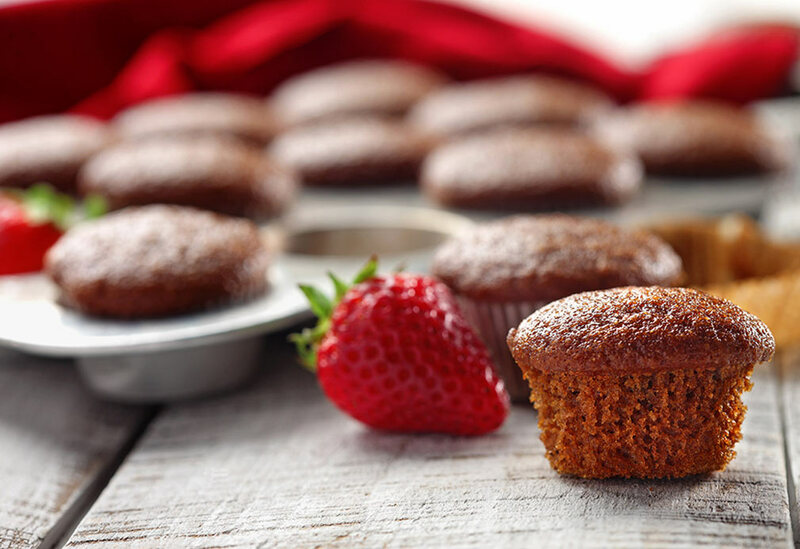 Reduce temperature to 325 °F (160 °C) and bake for additional 10 minutes. Remove from baking sheet and cool completely on wire rack. 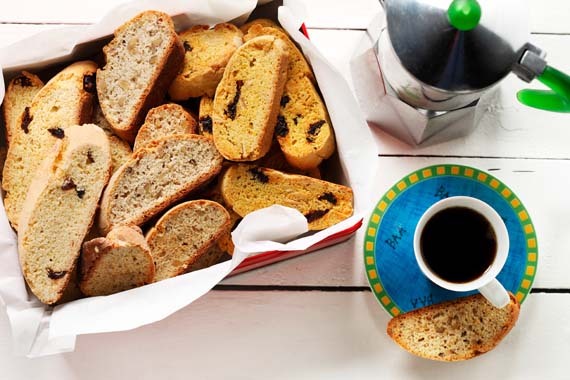 Dip these fruit biscotti in your favourite latte and simply enjoy!